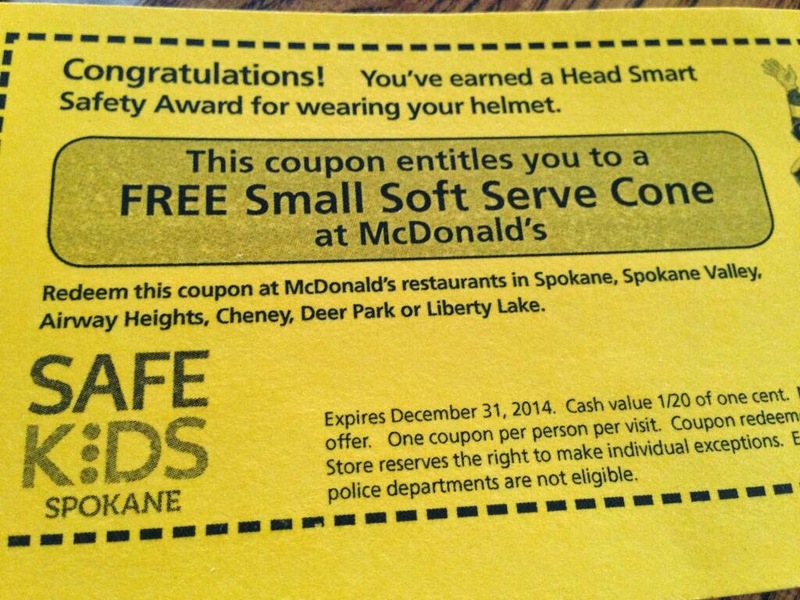 Chalk up another win for McDonald's as well as for the normalization of junk food and the use of sugar as a reward, and chalk up another loss for public health. 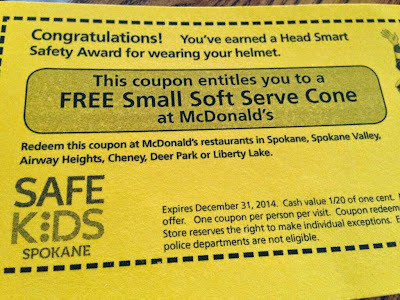 Thanks to Twitter's Bill Back for sending along a photo of the coupon for soft serve ice-cream his daughter received from a Spokane Washington police officer as a reward for wearing her bike helmet. Our communities need to be working to provide children with fewer opportunities for junk, not more. There's No Fruit in Glaceau fruitwater. Guest Post: Newsflash! Fruits are NOT Vegetables. Should Religion be Used to Sell Junk Food?